Enumclaw and Seattle Academy met up for a Sterling Shootout contest that went to triple overtime! Listen as Nic Beckman provides an audio recap of the game. 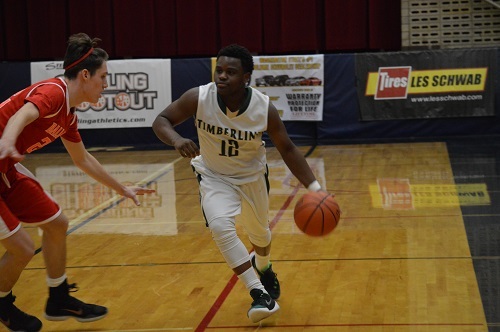 The first semifinal matchup on Monday Night of the Sterling Shootout matched up Timberline and Ballard. 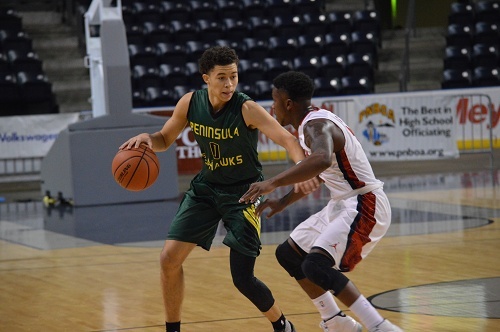 The winner would play for the tournament championship game against the victor of Peninsula and host team Kennedy which were on tap to play afterwards. The Blazers set the tone early by opening with a 12-0 run before the Beavs could record their first points. After Coach Broom called a timeout, Ballard regrouped and worked their way back into the game by closing the first quarter on a 12-5 run. 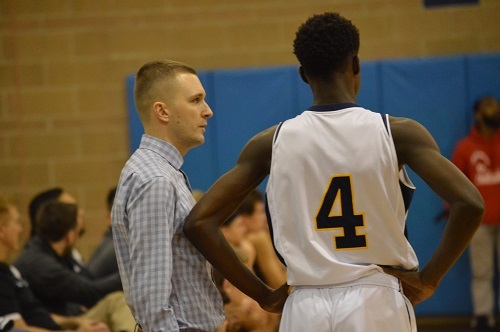 Timberline built their lead back up in the second quarter Erik Stevenson and Austin Curry each notched a half-dozen in the frame. If Ballard were to make a comeback, they would need to work quickly to cut down the lead. However, THS broke the contest wide open by scoring 25 points in the third from 6 different scorers. 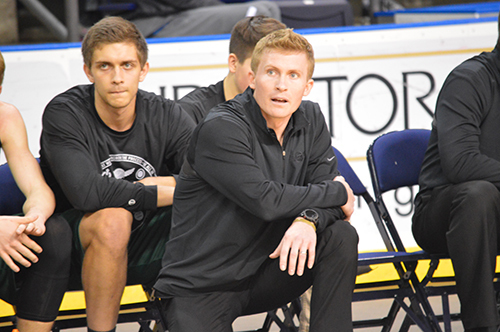 Ballard wasn’t able to keep pace and the Blazers cruised to a comfortable victory in which Coach Thomas distributed playing time up and down his bench. Timberline will play in the final! 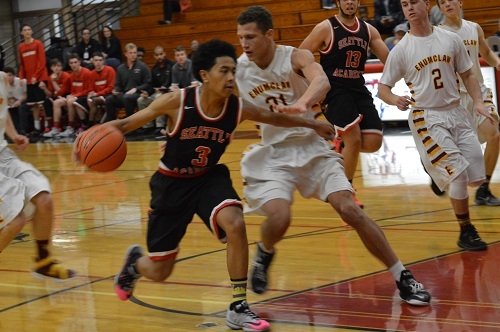 A Monday matinee in the 2015 Sterling Shootout paired the Enumclaw Hornets and Seattle Academy Cardinals in the consolation bracket. The matchup of the Hornets size advantage from two perspectives; height and roster size against the shifty Cardinals guards was a fun battle to watch. The combination of EHS forwards Justus Rainwater, Scotty Garvin, and Josh Erickson made a significant impact early as the trio was active on the glass. 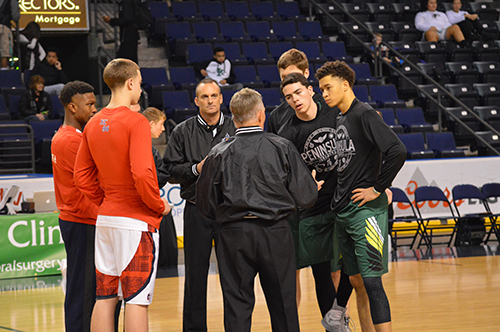 Seattle Academy’s sluggish start was compounded with intentional and technical fouls which added to the Hornet lead at the charity stripe. The Cards used this to fuel a rally to close the gap before halftime in which the margin was cut to three on a triple by Ian McManus. Marcus Austin started to fire from downtown and the sophomore guard heated up to the tune of five buckets from behind the arc in the third and fourth quarter combined. Enumclaw countered with the emergence of Kaden Anderson late in the ballgame. 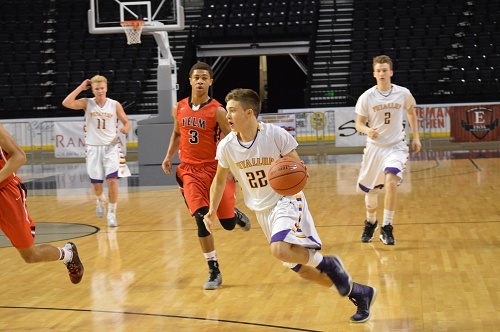 The sophomore combo guard recorded eight fourth quarter points as part of a team-high 24. The yo-yo game down the stretch wound up deadlocked at 51-51 with 1:23 remaining in the fourth. Neither team scored for the remainder of regulation and we headed to overtime. Marcus Austin struck again in extra time with an early bucket and one as the top Cardinal scorer gave SA early momentum. Anderson responded on the other end by racking up several points in the key. We headed to a second OT. 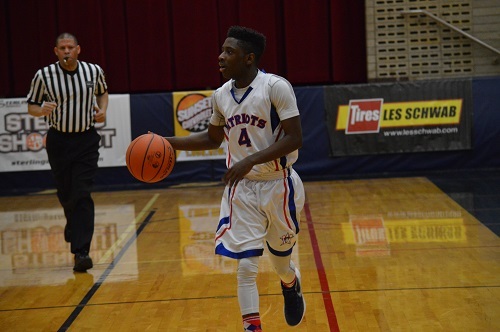 Seattle Academy appeared to have the win in hand leading by three with mere seconds remaining. However, a made free throw by Kaden Anderson followed by a miss, rebound by Rainwater, and putback tied the score and pushed the game to a third OT! 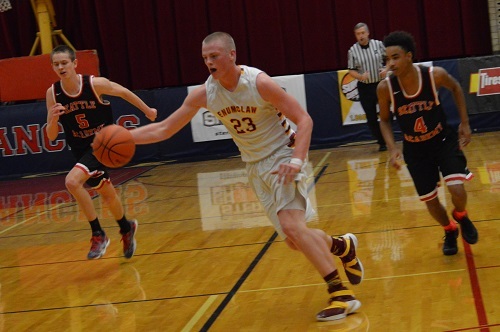 The back and forth affair continued until Scotty Garvin gave Enumclaw a final clutch bucket to take the lead in the final ticks of the game clock. 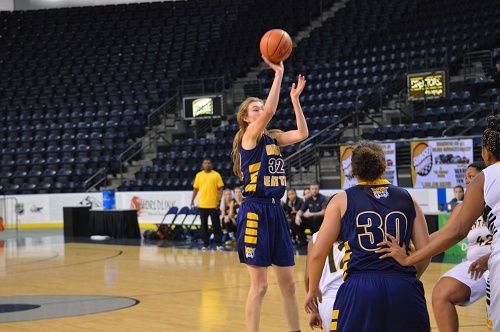 Seattle Academy’s potential game-winner rimmed out and the Hornets picked up a valiant win in a highly entertaining contest. 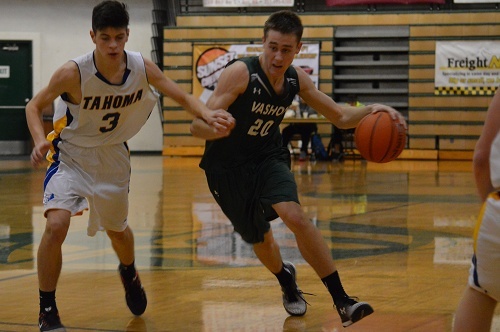 At high noon in the Highline College Gym on Saturday, Vashon Island and Tahoma tipped off for game three of the Sports Authority Shootout. The Pirates jumped out to a commanding lead early by starting the game on a 17-0 run. 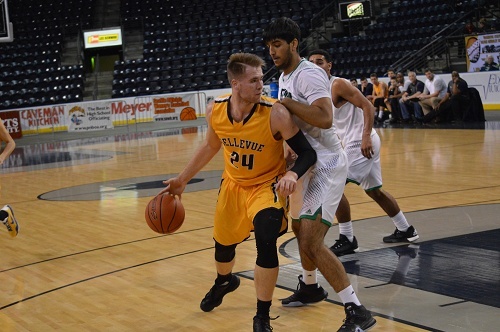 The Bears could not get any shots to fall and their woes were compounded when their 6’9 post Clayton Stultz recorded his second foul in the first 90 seconds of the game. 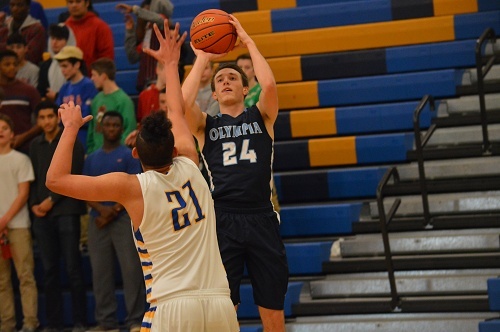 Once Tahoma finally found the scoreboard, they strung together a 12-0 run to find themselves back within striking distance. After two quarters of play, the Vashon Island led by a half-dozen. THS started the second half the way they began the game by going on an extended cold streak. The Pirates outscored their opponents 11-2 in the third quarter. VI senior Alex Symbol-Godfrey led all scorers with 18 points in addition to his 10 boards. Sam Yates also scored in double figures with 15. Heading into the fourth quarter trailing 15 the Bears needed a big run to climb back into the game. They responded by outscoring the Pirates 21-11 in the final frame when Connor Thomas and Kimball Cottam heated up. 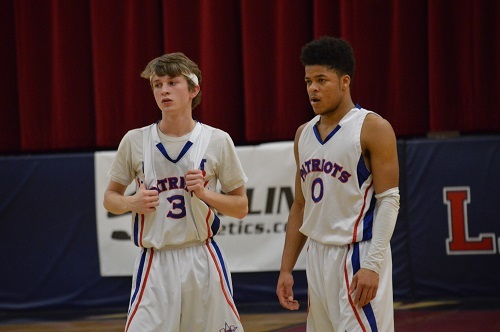 The pair combined for 20 points total, many of which were scored in the final minutes of the game. Despite the game slowing down in the latter moments, VI had a big enough edge to prevent the Bears from climbing the mountain. 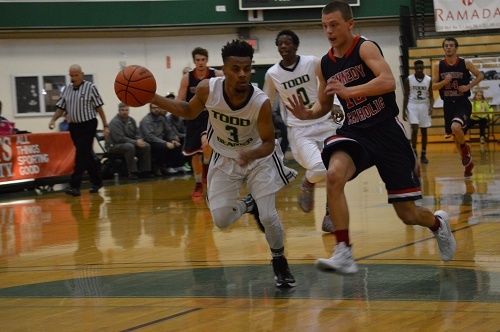 Patrick Kennedy recorded a double-double for Todd Beamer in their win over the Kennedy Catholic Lancers. The senior wing scored 11 points and pulled down 10 rebounds as the Titans led nearly the entire contest. Beamer opened the game on a 7-0 run the first 90 seconds to which Kennedy called a timeout to gain their composure. KCHS rallied in the second quarter to cut the TB lead to 8 points at the break by getting into the bonus early in the second quarter and knocking down freebies from the charity stripe. Amari McClemore demonstrated his athleticism when the 6’0 wing followed a missed shot with a putback slam. The Titans held their largest lead in the fourth quarter of 19 points, but Kennedy closed on a 9-0 run to end the game with a 10 point deficit. James Jolly from the Lancers led all scorers with 15 points. 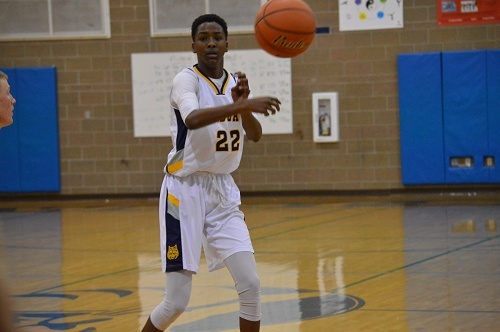 The game was in the balance early in the fourth quarter, but Gio Jackson put the game on ice with a 6-0 run of his own to put Beamer over the top. SPSL prevailed in this invitational format contest against a representative from the SeaMount League. The nightcap of Friday night hoops at Sammamish High School featured the host Totems and the Lake Washington Kangaroos. The Kangs jumped out to an early lead primarily due to Sahil Basra’s three buckets from downtown. If not for a Justin Jordan hustle play to throw up a fadeaway from a miss at the first-quarter buzzer, the Totems would have lacked any sense of momentum moving forward. LWHS continued to roll in the second frame when Abi Kameric matched Basra by knocking down a trio of triples of his own. Additionally, the Kangs rebounded well and did not allow for multiple chances for the Totems. At the break Lake Washington led 42-17. Sammamish was able to outmatch their first half total in the third quarter alone by logging eighteen points in the quarter, but LW kept the pedal down and continued to extend their lead. There was a sequence in transition for the Kangs where a lead pass in transition to Sam Linsky was dished behind the back for an open bucket. Sammamish closed strong by putting together a series of possessions where they came up with two quick steals following an initial bucket by Nate Aebi for three field goals in a very short period of time. 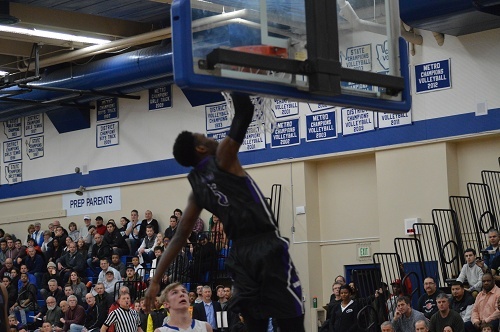 However, the Kangs led wire to wire and cruised to a double digit victory on the road. 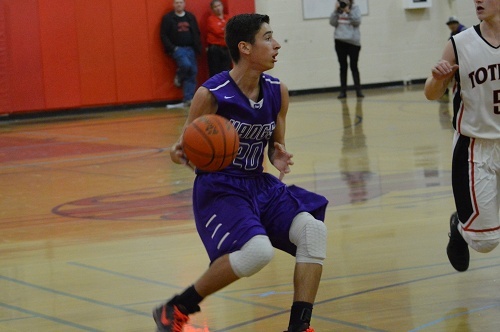 Lake Washington earned a league victory on Friday night after gaining a double digit lead in the first quarter. The Kangs frontcourt combination of Hanna Brender & Georgia Romine-Black helped LW jump out to a 34-17 lead after the first half. Totem coach Mike Schick made second adjustments that allowed Sammamish to cut down the Kang lead as the game progressed, but the contributions of Aleyah Bennett and Alliyah Shinaul were not quite enough to bring the home team within striking distance of their KingCo opponent. 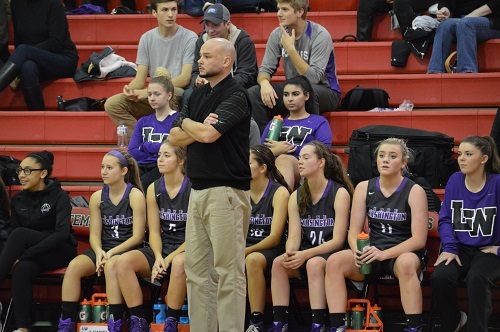 The difference maker in this game was Lake Washington’s ability to dial up from long distance early and grab offensive rebounds for second chance put-backs to create enough separation by halftime that a late Sammamish run would not jeopardize their lead. Credit the Totems for winning the second-half scoring margin, but they will need balance for four quarters as league play heats up.